Looking for a short party dress in flowing chiffon? In a romantic Parisian blue, this short semi-formal dress is a beautiful option for wedding guests. 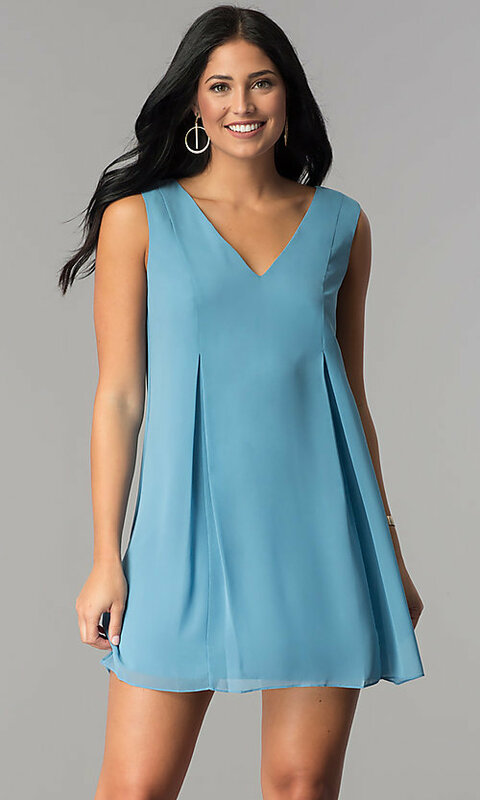 For receptions or more casual celebrations, this adorable blue dress, under $100, is an affordable addition to your party wardrobe. 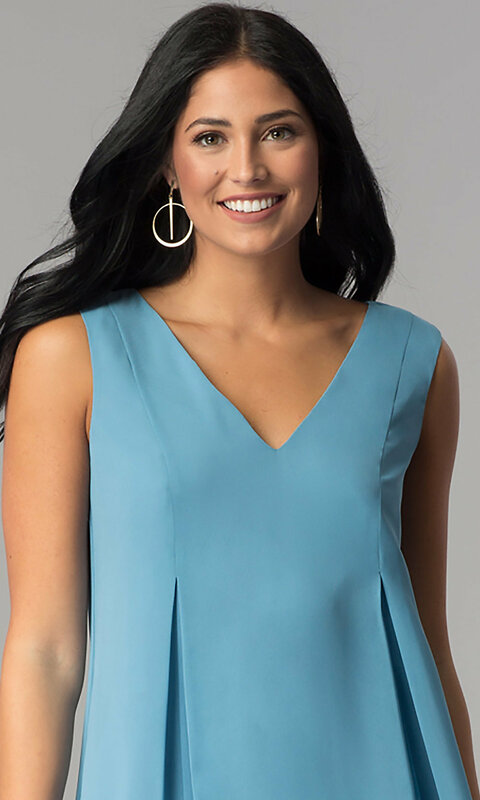 The light and breezy v-neck dress transitions from wide shoulder straps to a chiffon band that ties in a feminine bow and hangs over the v-back detail. Fully-lined, the lovely shift dress flatters the figure with box pleats that flare away from the hips before reaching the short hem. An outstanding value for special-occasion celebrations, this Parisian blue short party dress by BCBG Generations is a delightful style that you'll reach for again and again.